I made a wee bit of progress on my Friends of Baltimore quilt this week. (You can see other blocks here. The border of this quilt is my current blog banner above.) These two blocks were completed in 2012. 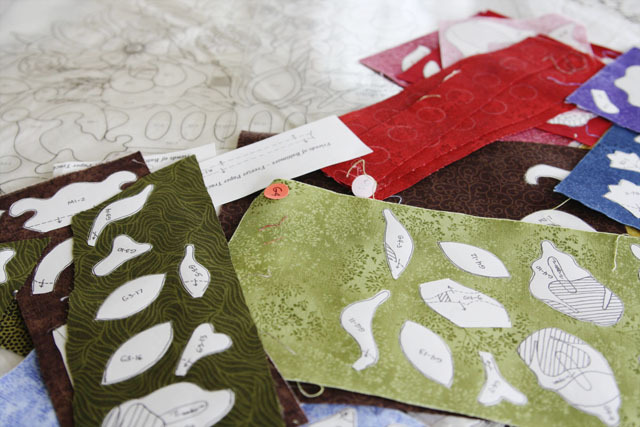 My goal is to complete four more blocks and a border by the end of 2013-and finish the entire quilt by the end of 2015…I know what you’re thinking…but here’s what I’m thinking: Slow and steady wins the race! 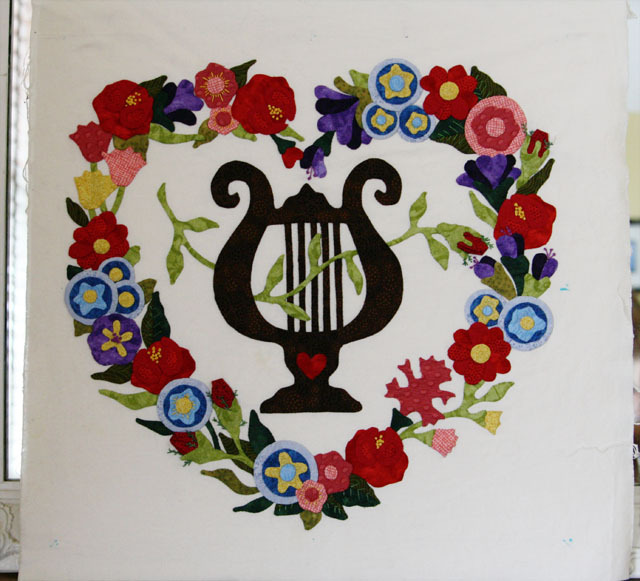 This type of applique is called Baltimore Album Applique — and is known for small, overlapping pieces. I am not very proficient at it, but I love the results, so I am stitching away! This week: I ironed the fabrics for the Elegant Vase block and I had this transparent overlay made at an office supply store. 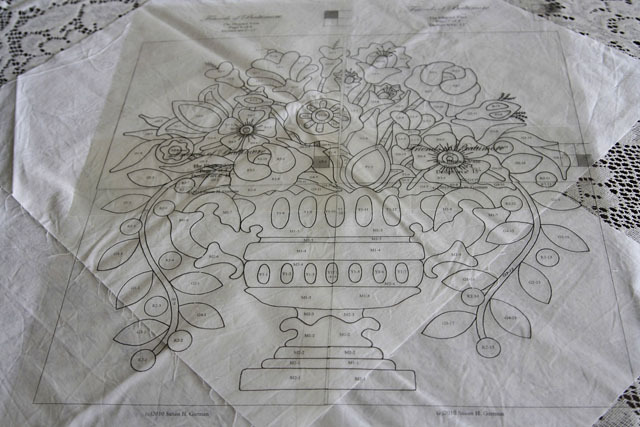 This is used as the guide for placing each piece. Next, I will cut one piece at a time out, use the overlay to determine the placement and applique it in place. I’d love some suggestions for a few movies-especially comedies—and of course, nothing subtitled! Thank you! I am very slow–it requires a great deal of concentration, so I have to be in the right mood…I hope I can finish it! Thanks for the encouragement! Wow! That is amazing and beautiful and so much work. I agree with you on that one…slow and steady wins the race. You AMAZE me!!! Which makes you amazing. My total job today was to care for grandson, Hudson. I accomplished almost nothing else but it was so worth it. Love you, Laura. Now this is REAL quilting! Indeed! 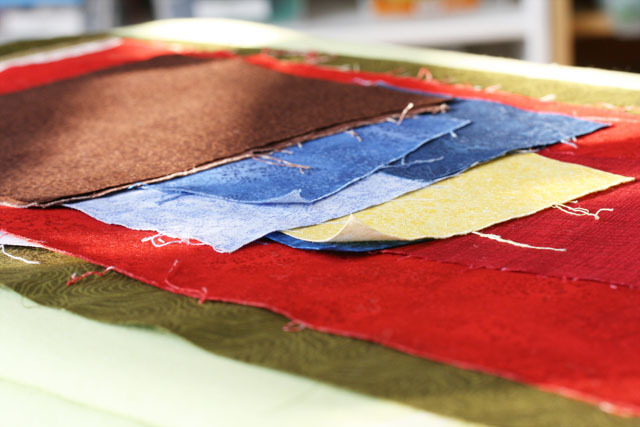 The kind of quilting where you better love the process as much as the product. You made me laugh out loud with that last comment, “no subtitles”! Ha! Thank you for including the pictures of the process. 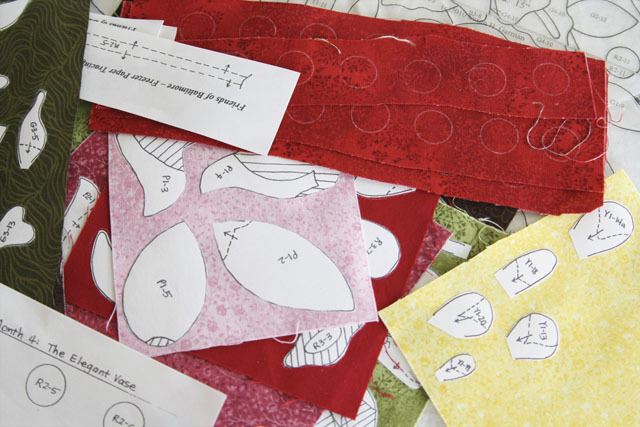 It’s so helpful to those of us who are trying to learn to make applique quilts. The blocks look beautiful! I’m glad I got a laugh out of you! I’m guessing you quilt or do other projects while you watch TV? Thanks for commenting. Wow, I’m always blown away here. I didn’t know that about freezer paper…good to know. I always love Disney movies like Bed Knobs & Broomsticks or Mary Poppin’s or Finding Nemo when it comes to comedy. Plus you’ve probably seen them so many times, you’ll know what’s happening even if you are looking at your project. I love Mary Poppins, too! Great idea! I don’t think I’ve ever seen Bed Knobs…will give that a try. Oh My Goodness, what a project!! When I take a long time on something it is because, I am slow, not because the process is long. Wow, beautiful. Your work is stunning! I could never dream of having the patience for such detail! My latest show to watch while sewing has been Parks and Recreation and my latest movies: Yes Man, Ballet Shoes, and How to Lose a Guy in 10 Days to name a few. 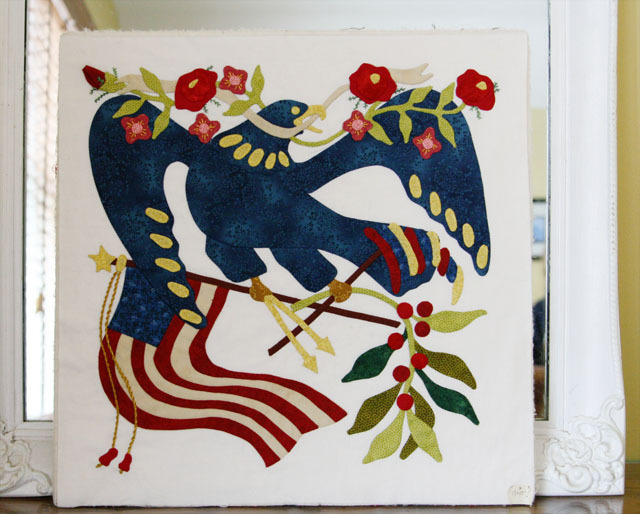 I do love Baltimore Album quilts and am even more impressed with someone who has the patience and skill to do all of that hand appliqué! Kudos to you.